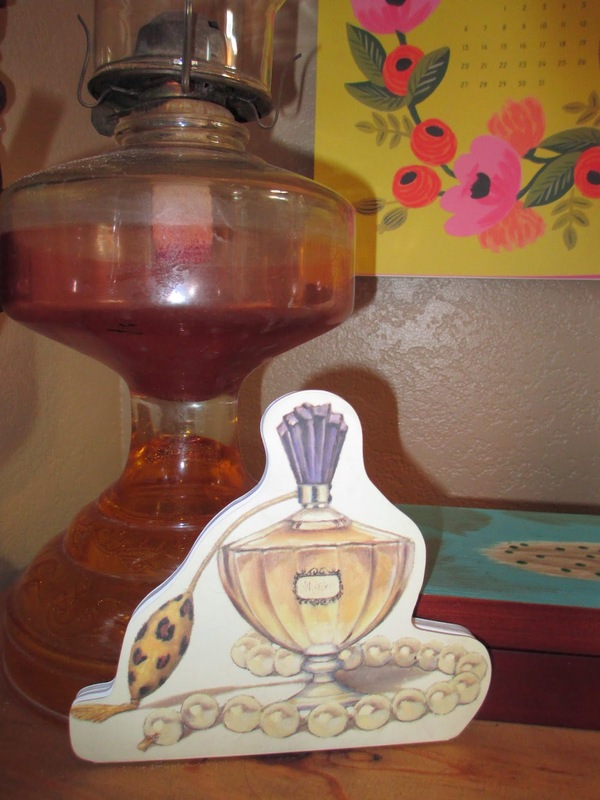 1) Perfume Notepad - I had this notepad sitting in a box for so long that I am no longer certain where I bought it. Finally I've put it out on my desk to look pretty, deciding that I'll use it whenever I need to scribble down any quick notes. If we don't use our pretty things, then what's the point? 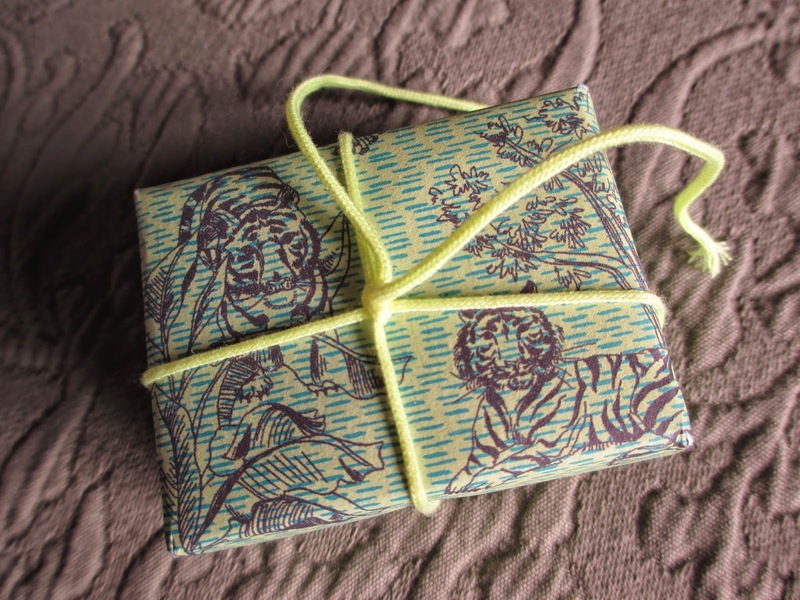 2) Honeydew Cactus Soap - My obligatory Anthropologie item of the month is a little green-wrapped soap that I thought smelled delicious. Sorry, local soap, I love you very much, but sometimes I just have to get Anthropologie soap, too. 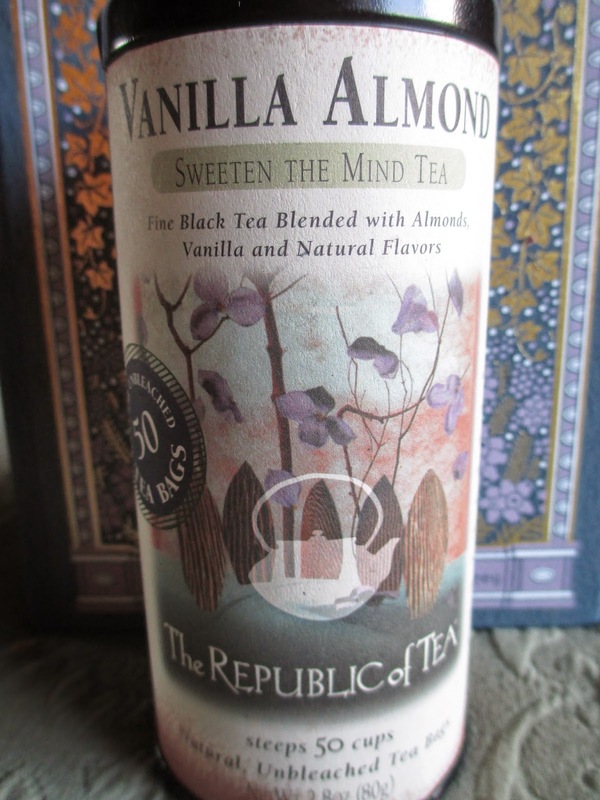 3) The Republic of Tea - Vanilla Almond Tea - What with yerba maté in the morning and often green tea in the afternoon, it was seeming like I wasn't getting much black tea. I was starting to miss it, and remembering how nice vanilla is with black tea, I picked up this one. It's a nice blend of robust with a slight sweetness. Plus, there are 50 tea bags jammed in the tube, which means it's well worth the $11. 4) Green Leather Bible - When I graduated from my children's Bible, I just got a $10 bonded leather Bible that I never was overly fond of, design-wise. Problem is, I like the New King James version and the Bibles with colors or designs are usually a different version. So when I found a KJV that is a nice small size (it's also supposedly large print, so the text isn't microscopic) and a very me shade of green leather, I couldn't pass it up. 5) Tropical Necco Wafers - I love regular Necco Wafers (except for the licorice flavor), so why not try the Tropical version, too? These are even weirder than the original ones. Strawberry, banana, and mango were good, but I didn't care for coconut, passion fruit, or lime (although, admittedly, I almost never like coconut or passion fruit). However, I did devour the whole roll at my desk before I ever had a chance to take a picture. 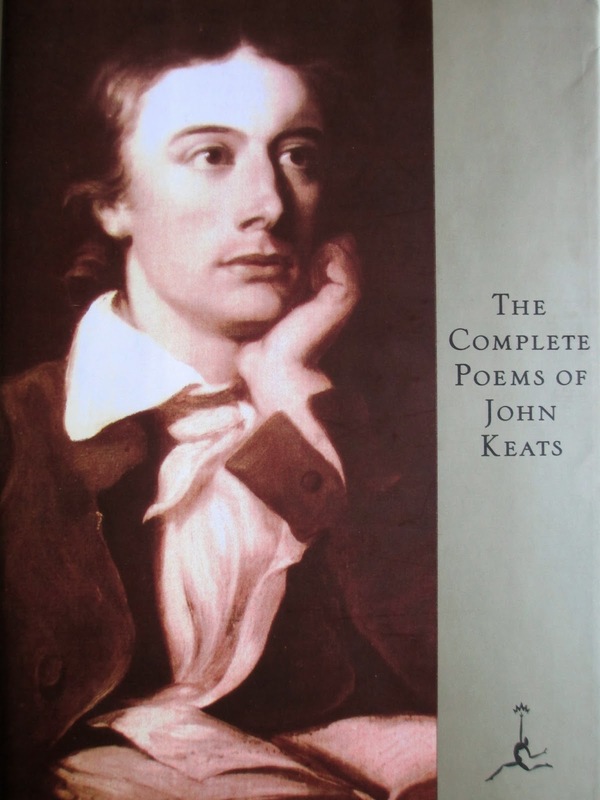 6) The Complete Poems of John Keats - From time to time I renew my slight obsession with John Keats. This time, I thought I ought to have a good Keats anthology; this one's from Modern Library. Eventually I'd like to read it all, but I'm in no hurry: it's nice to just drink in the beauty of a few lines. I just keep rereading "Bright Star" and the first stanza of "Endymion." 7) L'Abeille Occitane Miel de Lavande - I didn't buy this myself, but I sure am eating it all as if I picked it out. It had been a while since I'd had what I call spreadable honey and the creamy rich deliciousness of it has me in love again. The added floral bit of the lavender only makes it all the better. 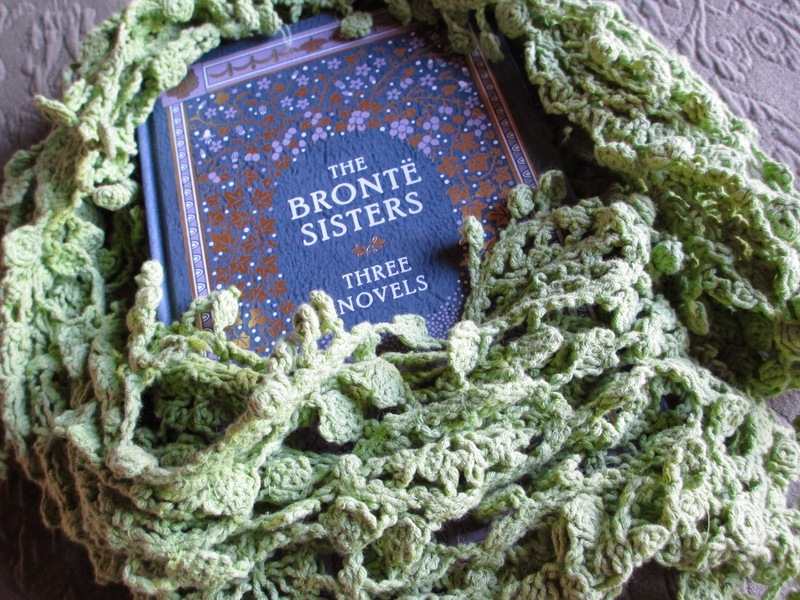 8) Green Scarf - Another item I didn't choose for myself. See the color green? People know me so well, I suppose. With the happy color and the loose lace, I think it's something I can start wearing now while it's still warm weather. 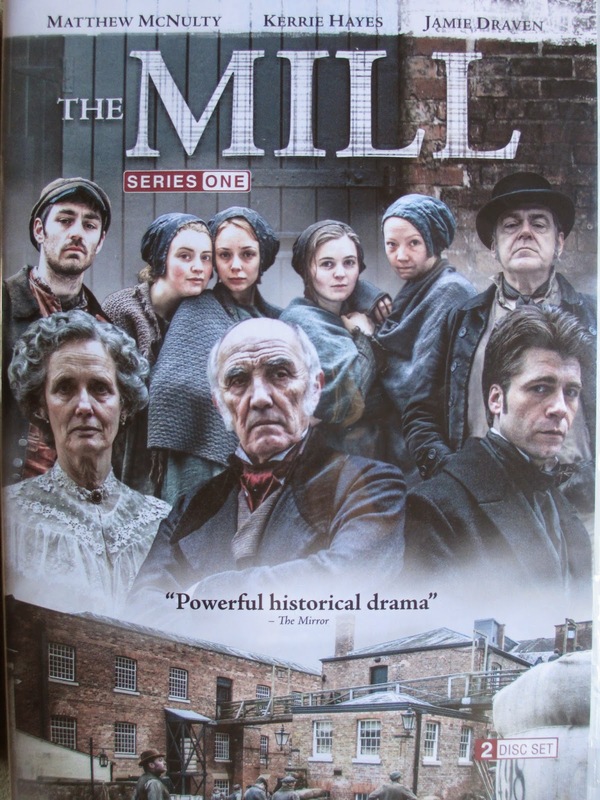 9) The Mill - In the search for new things to watch, the first season of The Mill came around (the second season is airing in the UK right now, but who knows how long it'll be until we get it over here). Overall, it's an interesting show, and I like that it's 19th century without being based on a 19th century novel (I mean, Oliver Twist is great and all, but why do we need a new version at least every decade). 10) Dinosaur Pin - If I have dinosaur necklaces, why not a pin? It was an antique store find, so I have no idea when or by whom it was made--and that's why I like it. With its silver color and angry face, it's just a random and unique piece, and that's a must for every outfit.